Do the armies of the Asuras and Rakshasas ally with the Mleccha kingdoms in their attacks on the Vedic civilization? 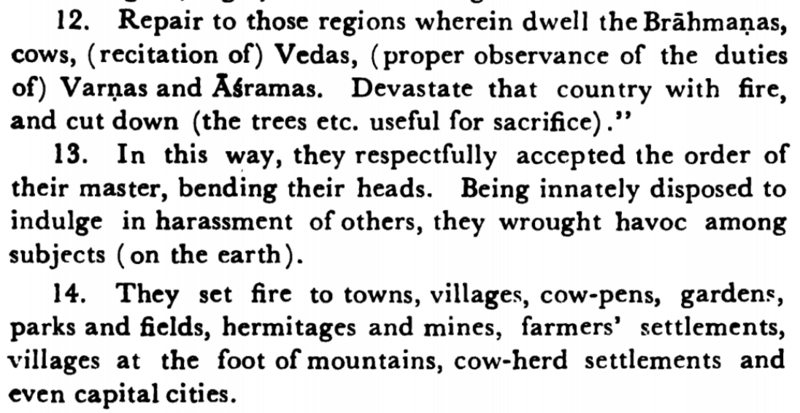 The Asuras and Rakshasas have a knack for destroying the Earth, the Vedic civilization, and the members of the 4 castes. Do the armies of the Asuras and Rakshasas form alliances with the Mleccha kingdoms in their attacks on the Vedic civilization? Browse other questions tagged asuras rakshasa evil mleccha . What are the differences among Rakshasas, Daityas, Danawas, Pisachas? During what Yugas did Hiranyakashipu, Mahabali, and Ravana rule? What is the story of Prahlada being held hostage by the gods? Why are Daityas Sattvic according to the Manusmriti? Where did Rakshasas live during the time of the Ramayana? What are all the incidents mentioned in the scriptures where Asuras have tried to destroy the Earth? Does Lord Indra protect the Aryan, Vedic civilization from attacks by Mleccha armies? Is it a sin for Rakshasas, Pisachas, and Asuras to kill humans? Is anti-Brahminism a quality of Asuras and Rakshasas?